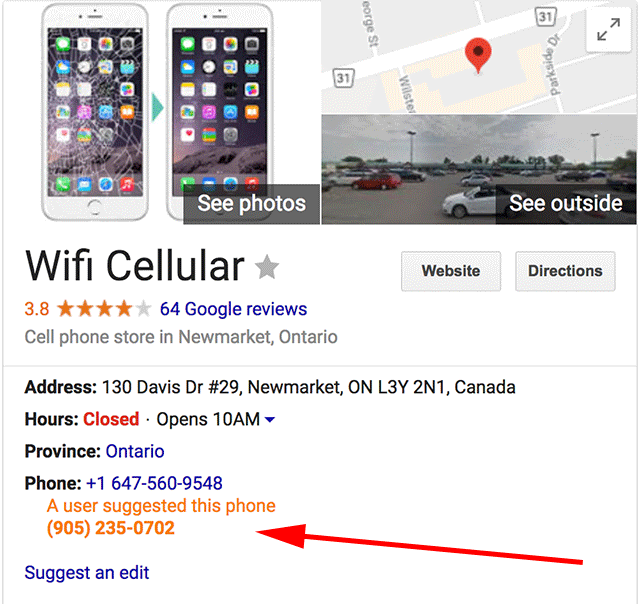 Google is now showing user suggested edits on the local panels even on desktop search results. I believe this has shown mostly for mobile local panels and to business owners but now it seems to show on desktop and even for not business owners. Joy Hawkins posted about this in the Local Search Forums and Mordy Oberstein posted on Twitter. For quite some time Google has showed pending edits to a listing on the Google Maps app on mobile. Tom Waddington noticed yesterday that Google is now showing this on desktop as well. Pending edits to categories, phone numbers, websites, hours and addresses will show up. The transparency is nice, espesially giving searchers a heads up that this might not be a valid change. Forum discussion at Local Search Forums and Twitter.